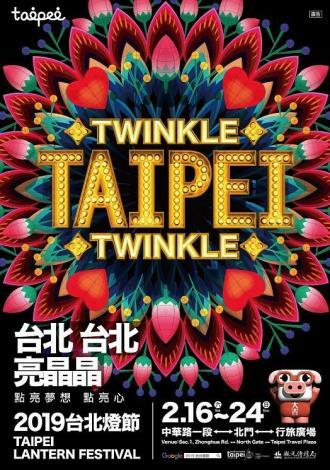 Sparkling Precious Piggy, the centerpiece of the Taipei Lantern Festival, was unveiled on January 22. Measuring three stories tall, Precious Piggy will be displayed in front of Red Square in the Ximending entertainment area. This lantern consists of LED screens comprising 5.5 million pixels—the first such application in digital imaging technology—while Taiwanese DJ RayRay, who played at music festival Tomorrowland in Belgium last year, created a theme song for Precious Piggy that turns the display into a dazzling light and sound show. The Sparkling Precious Piggy sound and light show will start each night at 7 o’clock during the lantern festival from February 16-24. The three-minute theme show is repeated every 30 minutes. Following the beat of a futuristic soundtrack, Precious Piggy will morph into a mechanical monster before returning to a traditional appearance wearing a lion dance mask. Precious Piggy will make faces and strike poses that show her lively, naughty character. Li Ming-dao, a.k.a. 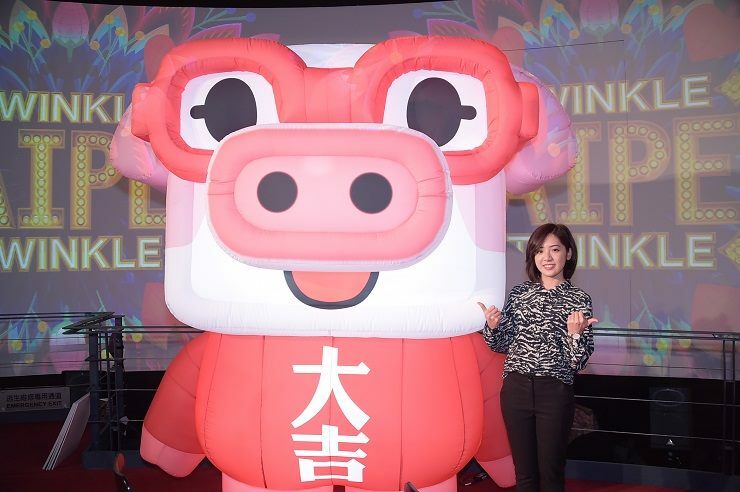 AKIBO, the curating artist who designed the centerpiece and the visual identity of the Taipei Lantern Festival, said that the mercurial Precious Piggy symbolizes freedom and lightheartedness and a wish for all Taipei citizens’ dreams may come true. 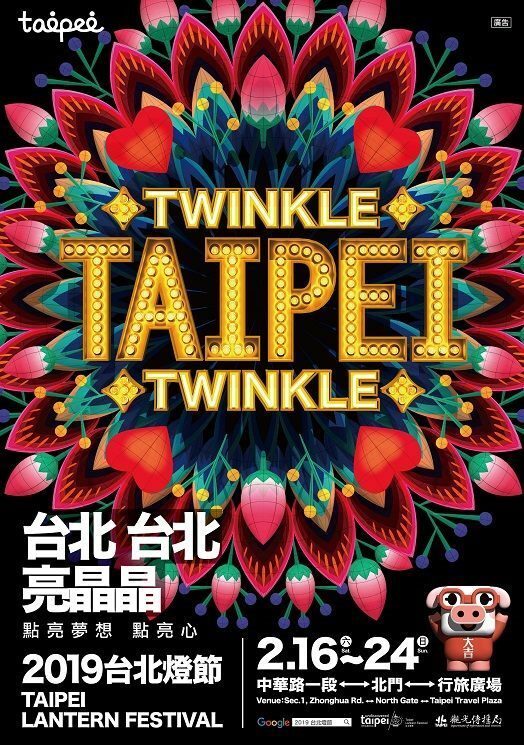 In keeping with this year’s theme of “Twinkle Taipei, Lights up the Dream and the Heart!,” the lantern festival features several themed lantern areas besides Sparkling Precious Piggy, including “Dazzling Creations, Starry Life, and Shining City,” which each offer unique takes on the overall theme. Department of Information and Tourism Commissioner Liu Yi-ting said that this year's lantern area extends along Zhonghua Road section 1, Beimen, and Zhongxiao West Road, and for the first time incorporates the Taipei Travel Plaza next to Taipei Main Station. The works displayed in the various lantern areas, such as Taipei Post Office, Osaka Trading Company, Mitsui Warehouse, Futai Street Mansion, are inspired by the traditional historical buildings of the Western District, and offer spectators a lovely time of enjoying the lanterns and appreciating the legacy of the neighborhood. A perennial favorite with the public, the North Gate shines again this year with light sculpture projections and a Beimen Swing Dance performance that together celebrate the completion of the Beimen Square renovation, explains Chen Yijie, the artist who designed the Beimen light sculptures in 2017. In this year’s performance, the city gate’s contours, the sculptural projections, and the dancers’ moves will blend together in a tableau that transports the audience to Taipei’s glorious past and back to the city’s no less thriving present. The Dazzling Creations lantern area presents the essence of Ximending over time and feels like a walk through a time tunnel. AKIBO explains that at one time, Ximending was the go-to area for store signs and running lights. The Colorful Cacophony Lantern brings that era back to life through a display of store signs and running lights. Well-known graffiti artists Mr. OGAY and CYH Jason joined graffiti artists from around the world in the Graffiti Dream Base tent design. CYH Jason, whose works adorn many a street in Taipei, merged shop board elements with Ximending’s old cityscape, while Mr. OGAY poured out his heart into his works as a new dad. All are welcome to come and discover the fun of graffiti culture during the Taipei Lantern Festival! The Dazzling Creations lantern area is home to as many as 80 pieces this year, a new record in the festival’s history. Those created by students show boundless creativity. Bravo, Taipei city’s popular mascot bear, has his own lantern area at the festival this time and is expected to draw in crowds of fans. 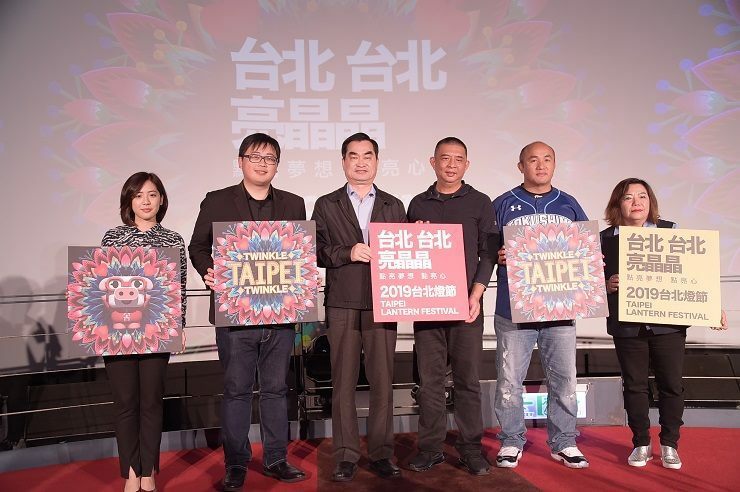 In addition, this year's lantern festival has teamed up with Google Assistant to create a personal tour guide system for the 2019Taipei Lantern Festival. Just say "OK Google! I want to talk to the Taipei Lantern Festival!" into your phone, and your phone will switch to navigation mode. Next simply ask Google Assistant about the festival’s opening hours, location, or other key information, and the virtual assistant will tell you. The virtual assistant on your mobile phone or tablet can also help you navigate the crowded festival area to find the lantern areas of your choice. On January 22, the 2019 Taipei Lantern Festival also premiered its promotional video in which rock star Wu Bai, TV host Mickey Huang, Olympic gold medalist and taekwondo professional Wen Tzu-yun take the viewer on a tour along Sparkling Precious Piggy, Beimen Swing Dance, and the Graffiti Dream Base. One by one, yet in unison, they call on everyone to check out the Taipei Lantern Festival and discover a different Taipei!